Is Vista dead in the water? Analysts from Gartner said earlier this week that Windows is collapsing under its own weight. Talk in the blogosphere keeps pointing to a Windows 7 release date earlier than 2010. Is Vista already a lame duck? ANALYSIS Certainly Microsoft wants to avoid another debacle on the scale of Windows Me, an operating system release that tilted more toward a mistake than an upgrade, and whose publicity turned into pushback from both customers and the press. However, two analysts from Gartner certainly didn’t help Vista much with their comments earlier this week. At an Emerging Trends conference in Las Vegas, Michael Silver and Neil MacDonald argued that Microsoft is collapsing under its own weight, and that Windows has become monolithic. Central to their point was the fact that Microsoft is leery to cut the cord, so to speak, on more than two decades of applications. Backwards compatibility remains something of an expectation with each new Windows release. At the same time, this support for the past has gotten them into trouble. “Security should have been enough of a reason for Microsoft to stop bringing these applications forward,” Directions on Microsoft analyst Michael Cherry told BetaNews. As MacDonald and Silver argued, the ballooning hardware requirements attached to Microsoft’s recent releases — especially Vista — have some of its clients wondering if it’s just more worthwhile to stick with their current setups and wait for the next version of Windows. The reasoning behind the leeriness over Vista in the enterprise is this: Evidence suggests that Windows 7 would be more modular, and as a result, a lot less hardware requirement-heavy. Many groups — Gartner included — have now seemingly begun to advise clients that a Vista could be more than just a software upgrade: It could mean these folks could be buying new hardware too. While this is certainly something the computer manufacturers would not mind at all, it’s a sticking point for corporations. Faced with buying new machines, they would much rather just stick with XP, which for many is working out just fine. Thus, in the case of Gartner — which, by the way, had been urging its clients to upgrade as soon as possible after Vista launched in 2007 — movement to Vista is now only being suggested as old and dying computers are being phased out. Only then, the firm believes, should Vista be introduced. Could this movement of both sentiment and support away from Vista be the catalyst for recent suggestions that Windows 7 should launch sooner than the oft-publicized early 2010 target date? It could be the most logical reason suggested thus far. Microsoft’s customers appear ready to pass over Vista, and the company could be taking notice. If it cannot get its customers to bite on the latest Windows release, maybe it can on the next. 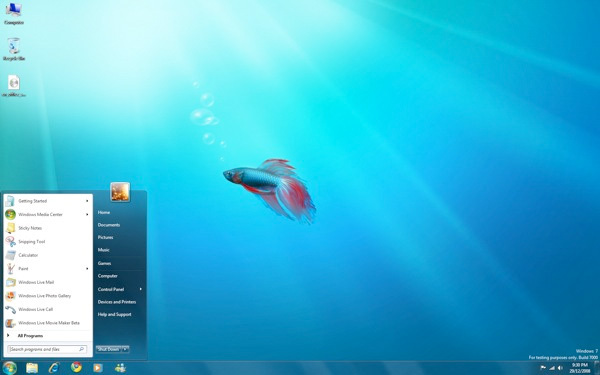 Blogger and Microsoft pundit Mary Jo Foley has suggested that the renewed Windows 7 speculation may be more due to a desire by computer manufacturers to have new software, and the new marketing support that comes with it, ready for the generally lucrative holiday shopping season. But a still more higher-level reason could be at work. Cherry disagrees with the whole premise of “promising” releases by a certain date, saying it only leads to trouble. “Microsoft shouldn’t be promising when it will be done,” he told BetaNews. Such promises have already gotten the company into trouble with Vista at the very beginning, he said, as it was more than two years past its initial promised date. Plus, he said, since Vista was billed as a major release, Microsoft shouldn’t be following it up with another major release so soon. “A major/minor release pattern is good,” he added. Gartner seems to be suggesting such a resolution to Microsoft’s conundrum. It calls for radical change, something consultant Stowe Boyd of /Message seems to agree with. Boyd doesn’t hold much hope for it, however. The question still remains, is Vista really collapsing? Perhaps not. It could be argued that Microsoft has just failed to develop the OS’ value proposition enough. With the early problems, such as a definitive lack of supporting drivers and its technical difficulties early on — not to mention the whole “Vista Capable” debacle — that job has been made much harder. Some will argue that the security enhancements included within Vista are reason enough to make the jump. Several have argued that these enhancements resolve one of the key problems within Windows overall in recent memory: its seemingly neverending list of security problems. In fact, Cherry told BetaNews that when he first started urging his clients to upgrade, User Account Control (although annoying at times) was a major factor. Not allowing everything to run under administrative privileges closes a great deal of those holes. He still stands by his support, even though like Gartner, he is also now advising a hardware upgrade path to Vista adoption. But some of these much needed changes have come at a cost. While the marketing of Vista calls it “agile,” most likely many don’t perceive it as such when a UAC dialog seems to appear on their screen every few minutes. 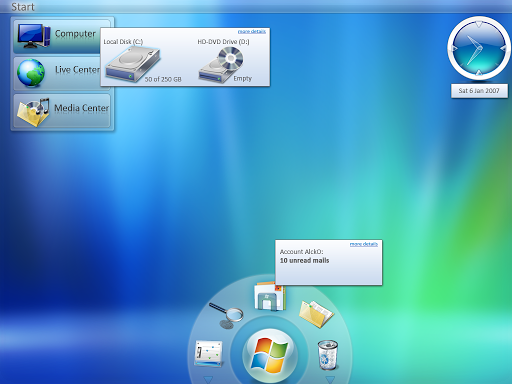 It is with Windows’ treatment of the “standard user” with UAC that Microsoft may need to improve most for Windows 7. Take out these perceived shortcomings, and things could get back on track. Cherry’s referring to the company’s next Professional Developer’s Conference, currently scheduled for late October. Quite possibly at that point we will find out what Redmond’s next steps will be, and whether Vista is indeed the lame duck that some have made it out to be.